Since 2005, AAP-CA3 has provided coordination and support for 88 pediatric offices, in San Diego, Imperial, and Riverside Counties, participating in Reach Out and Read San Diego. We ensure that pediatricians integrate early literacy promotion into well child checks and assist them in procuring funding for books. 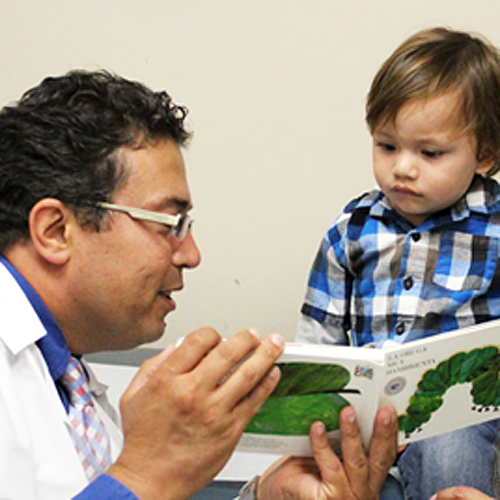 This research proven early literacy program aims to prepare children to succeed in school by partnering with doctors to prescribe books and encourage families to read together. You can find detailed information at our website at rorsd.org. 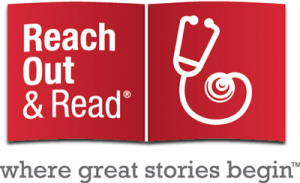 Reach Out and Read is a national program that encourages literacy in young children through pediatricians at their well-child visits. At each well-child visit between 6 months and 5 years of age, the pediatrician hands the child/parent a new, developmentally appropriate book. With that, the importance of brain development and daily reading is introduced and reinforced. There are many issues to discuss at well-child visits. How many interventions or anticipatory guidance messages have actually been shown to have a positive impact? Reach Out And Read is one of the few (along with immunizations). 14 peer reviewed studies show that children who participate in Reach Out and Read score higher on vocabulary tests and are read to more often. Almost any pediatrician can have their office or clinic become a Reach Out and Read site. We work collaboratively with community partners to build and support Reach Out and Read and pediatric literacy in San Diego. Our partners include the San Diego County and City Libraries, Community Clinic Network, CPCMG Medical Group, San Diego Council on Literacy, County of San Diego and many other child literacy advocates.